Wow! What a finish to the 2018 Daytona 500! If you missed it, make sure you check out the podcast this week, as I lay out the entire race from flag-to-flag! Congrats to Austin Dillon and all of the #3 guys! Controversial finish, but exciting none the less! With Daytona in the rear-view, it's time for the NASCAR season to become real. No, I am not dismissing the 'Great American Race', but this coming weekend at Atlanta is where we find out true answers to the burning questions of the off-season. In today's post, I will lay out 5 things we should look for next weekend in the "Folds of Honor QuikTrip 500" from Atlanta Motor Speedway. So, enough waiting... let's get to it! 1. The success or failure of Camaro. The Hendrick Chevrolet's showed loads of speed at Daytona International Speedway the last two weeks, but a true sign of Camaro's impact will be showcased at one of the fastest tracks on the NASCAR circuit. Not that Daytona isn't a marker of raw speed, but let's be honest, you never get a true reading on competition in the 500. This week's 500-miler at Atlanta Motor Speedway (AMS), will be the lie-detector test of the Cup garage. If Chevy can run up front and contend for a win, without being dominated by the Toyota's, then bow-tie organizations will have something to look forward to in 2018. To simplify it, intermediate tracks make up the majority of races on the Cup schedule. You show up here, you have a shot to make some real noise down the stretch. 2. The competitiveness of Ford. I have been hard on Ford from the start of the season. Some of the fastest cars from Daytona represented the blue oval group, but similar to the Camaro, will that speed transfer? I have predicted all off-season that Ford will struggle due to a lack of changes. Ford's struggled last season, and with no modifications, why should we believe in them now? 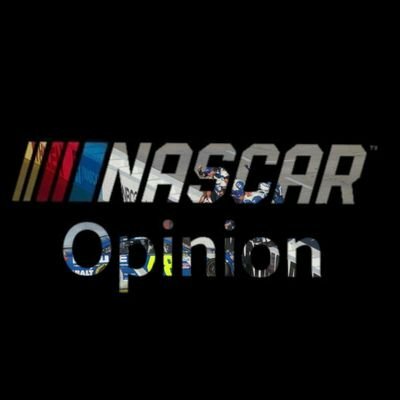 Atlanta will give a good indicator on what teams like Penske & Stewart-Haas can accomplish in 2018. Of course, Ford's dominated this race last year, but if Camaro is a success, it may be hard to beat a field of speedy Toyota's and Chevy's together. 3. The affect of 5 pit-crew members. We have already seen a drastic drop off in pit-stop times after just 2 week's of racing action. Pit-stops that were 12.5 seconds are now 16-17 ticks of the watch. The new pit-crew rules, which only allow 5 men over the wall including a fuel-man who can only fuel the car, are making teams go about pit-stops in a different (slower) fashion. At Daytona, these pit-stops didn't mean much. If you had a slow stop, don't worry, just race your way back up front. It's easier to do that when you race in packs of 25 cars. This week, that won't happen. Atlanta is known for long green flag runs & plenty of green flag pit-stops. Races in ATL fan out quickly, making track position very important. A slow pit-stop at AMS can take you from a race winner, to 20th in a matter of seconds. It will be fun to watch what teams learned from Daytona and how new pit rules will affect the outcome of Sunday's race. 4. Who really has speed. Finishers in the top-10 from the Daytona 500 included some unsuspecting names such as: Darrell Wallace Jr, Chris Buescher, Paul Menard, and Michael McDowell. Nothing against either of these drivers, but the grueling 1.5 mile AMS will separate the men from the boys. Not saying that these drivers won't have success for the second consecutive week, but they will have to prove their true impact outside of restrictor-plate races. Take Darrell "Bubba" Wallace Jr. for instance. The 43 looked strong for the biggest part of the day Sunday. But a better question is, will Richard Petty Motorsports be able to carry that momentum over to an intermediate track, which doesn't provide a "level playing field" component such as restrictor-plates. Can teams like the 43, 21, and 37 compete with the likes of Truex, Busch, Elliott, and Harvick. We will find out in the Peach State Sunday. This young kid is one of the most intriguing topics in the Cup garage. Byron, the defending Xfinity Series champion, had a rough day in the Daytona 500. After getting into the wall early, and later spinning in the closing laps, Byron brought home a 23rd place finish in his Daytona debut. This week will be a better indicator of where the talent of the 20-year-old North Carolina native stands. This kid is special. Atlanta is a more realistic setting for this kid to flaunt his stuff. Who knows, maybe he even finds his way to victory lane in Bulldog country. Thank you all for reading! In addition, thank you for the interaction all weekend long from Daytona! What a weekend! Hell of a Truck & Xfinity race, and of course a wild Daytona 500! I hope you all enjoyed this quick read for the week, and stay tuned all week for the podcast and discussion! Remember, the podcast drops Wednesday, and a Periscope live is Thursday!